Hi, I have a big data frame for omics data. Samples are named as Genotype_Time_Replicate (e.g. AOX_1h_4). 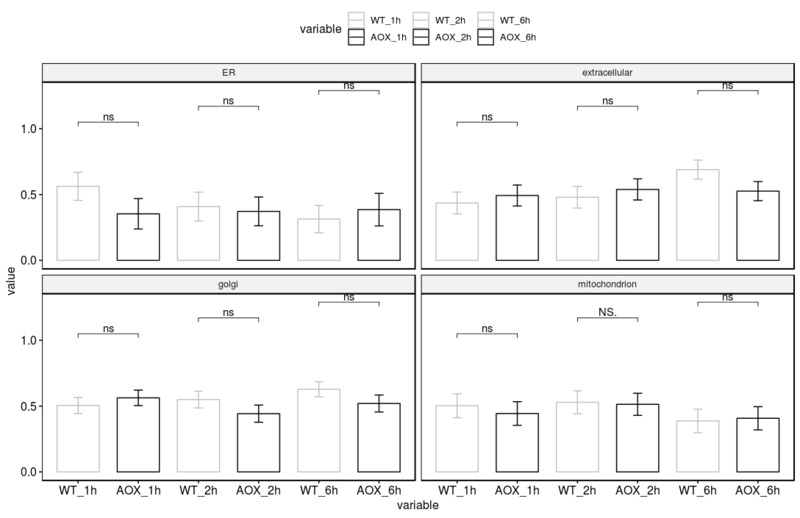 I want to summarize data for each organelle (averaged by organelle and samples' replicates) and plot the Wildtype and mutant data side by side with standard error for each time point. How can I use Tidyverse / relevant R package for averaging the organelle and replicate data in this kind of DF for downstream analysis? Thank you very much, Prakash. It seems to me that you're looking for the aggregate() function. There's also the summarize() function in the Hmisc package. EDIT: For more ideas, check this blog post. Thank you very much Heriche.